Take a break from the capital and gain insight into traditional ranch life on a day tour to Santa Susana Ranch. 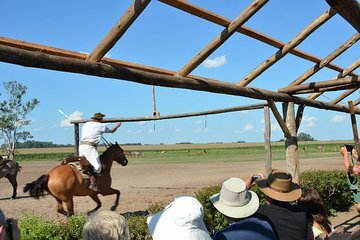 Avoid hidden costs with empanadas, asado lunch, and a horseback or carriage ride included, and benefit from free time to explore the estancia at your own pace. See gaucho-style performances, as well as a traditional dancing, then relax after a busy day with return transfer to your Buenos Aires hotel.